I recommend going on long walks with your friends! I'd love to go on hike with friends when it gets warmer out. That's a lot of volunteering for the year- amazing!! :) What a great year! I like to say that I get an adrenaline rush from volunteering. I'd love to find some physical activity I enjoy. I recently started doing yoga, and so far that's been really fun! I did yoga for awhile at a studio near me. I'd love to get back into it. You've got quite a bit done. Blogging everyday is so tough! Yes! I'd love to blog everyday, but currently it's too difficult for me. Wow, you got a lot done! Congrags! Thank you! I'm excited to see all that I do this year. I'm taking a web development course this semester and I'm so excited to know more HTML/CSS so I feel you on that! I also did blogmas and I definitely think that quality over quantity is so real all day every day! It looks like you had a very successful 2017! I'd love to learn more about coding. I'll have to see if my school offers courses on HTML/CSS next year. Sunrises and sunsets are so pretty. My husband and I went to the top of a mountain once (and only once) to watch the sunrise. It was a beautiful experience! I hope you're able to wake up early enough to enjoy it! I'll have to do that when I visit my cousins in Asheville. You did so much! Congrats! It's always good to reflect on your resolutions from the year before! I love that you prioritized volunteering and it sounds like it paid off for you! Such a valuable way to spend energy and time. Totally agree with you! Volunteering is truly the best! Sunsets and sunrises are both incredible things to witness! I hope you get to see a sunrise this year! They're both so beautiful. I should wake up to watch the sunrise this weekend. 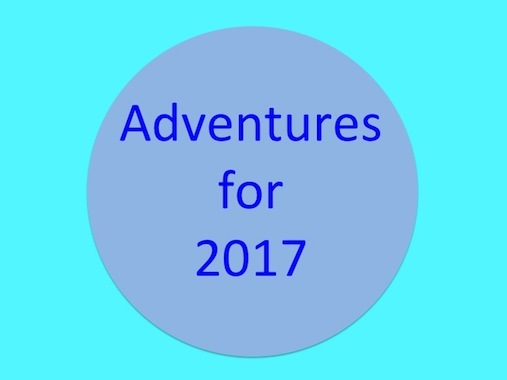 Yay for more adventures in 2017! I hope you can go on even more this year. I didn't do so great with a few of my 2017 goals but I still feel like it was a good year for me! 2018 has already been such a good year. I can't wait to see all the adventures I go on this year.